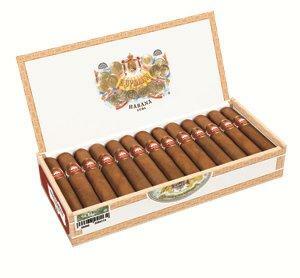 H. Upmann Half Corona | Old Morris Tobacconist Victoria BC, Fine Cigars, Humidores and Tobacco Merchantile. A beautiful smoke for the in-between spaces and quick daily breaks. Moody earth and wood aromas with toasted nutty undertones make this medium-bodied newcomer a surefire future classic.